We’re all on the same page about what it means to smoke cannabis flower. You grind up the flower, put it into a pipe, joint papers, bong, various fruits, or whatever your tool of choice may be, light it, and inhale the smoke. And that works fine and dandy if you’re into that sort of thing. However, the latest trends for cannabis enthusiasts have been moving toward a future that demands a cleaner, more discreet, and user-friendly cannabis experience. Enter the cannabis vape pen. How do cannabis vape pens work? How do you learn how to use a vape pen? Are there health benefits when it comes to vaping vs smoking? The answers are more simple than you think. We’re answering your questions so that you can enjoy the simplicity, the user ease, and the beauty that a cannabis vape pen can offer you. How do cannabis vape pens work? If you’re looking for a more pure cannabis experience, you’ll be stoked to hear exactly how cannabis vape pens work. The pure cannabis oil in your vape pen should be refined five times, lab-tested, available in multiple terpene profiles, and containing zero solvents. However, when you’re shopping for vape pens, make sure that the brand you’re researching actually says this about their product so that you know what you’re getting is top notch. And the companies that are producing the highest quality cannabis oil and vape pen technology will take it a step further to be completely transparent and share their entire process from harvest and extraction all the way to distribution into stores. Okay, enough about the actual cannabis oil. How do cannabis vape pens work??? Inside every vape pen is what we in the industry call an atomizer. This atomizer is responsible for heating the cannabis oil in the vape pen to the perfect temperature (usually around 350 degrees Fahrenheit) so that it completely skips the burning-on-fire part, and goes straight to vaporizing. Because the oil is vaporizing, and not burning, you get a more flavorful and discreet experience that’s easier on the lungs. Vaping vs Smoking: What are the health benefits of vaping? And why are so many people choosing vaping over smoking? Multiple survey studies have shown that those who have chosen vaping over smoking have documented more health benefits while vaping than while smoking cannabis. More and more studies are showing that because you’re heating your cannabis without combustion (aka without burning it with fire), you’re exposing your lungs to significantly fewer carcinogenic compounds than if you were smoking it. There are a whole slew of risks that come with the combustion of cannabis, which vaping allows you to fully avoid. Cannabis smokers are also known to be much more prone to bronchitis and respiratory infections, which is because of the smoke they’re inhaling, and not the cannabinoids. But it’s not only just staggering health benefits that are inspiring people to switch from smoking to vaping. The discreet usability, the potent variety of flavors, and the travel-friendly nature of the vape pen are among some of the most common reasons why people are going gaga over vaping. 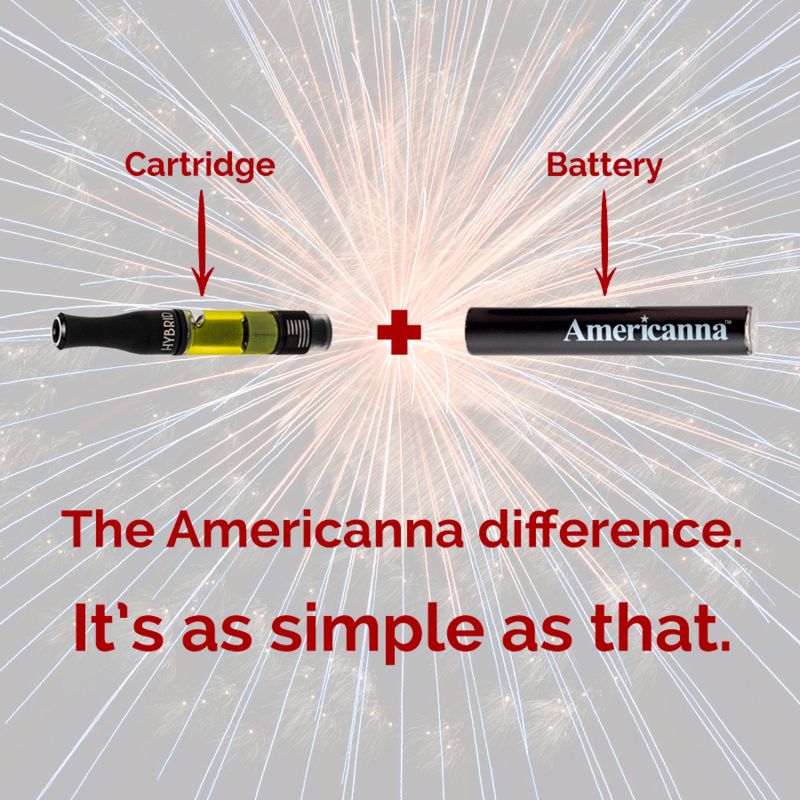 One of the best parts about using a cannabis vape pen is that it’s incredibly user-friendly. Especially for those who don’t want to grind up their flower every time, don’t know how to roll a joint, or have trouble using their hands for certain tasks. The cartridge: The component that contains the cannabis oil. The battery: The component that gets charged and connects with the cartridge. The charger: The component that charges the battery. The travel case: To bring all three components on-the-go safely. To use your vape pen, you’ll first want to be sure that it is charged enough for you to use it. 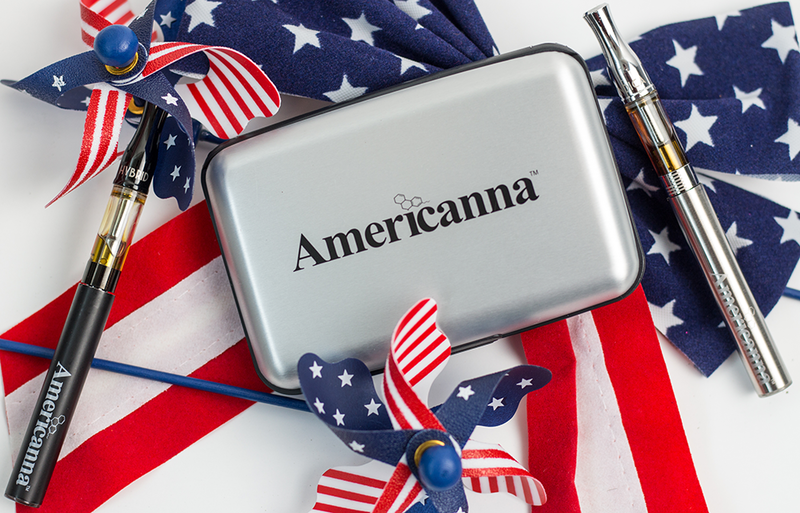 Every Americanna vape pen comes with a partial charge straight out of the package, so you’ll be good to go. Some vape pens come with a small button but that’s about as complicated as it gets. 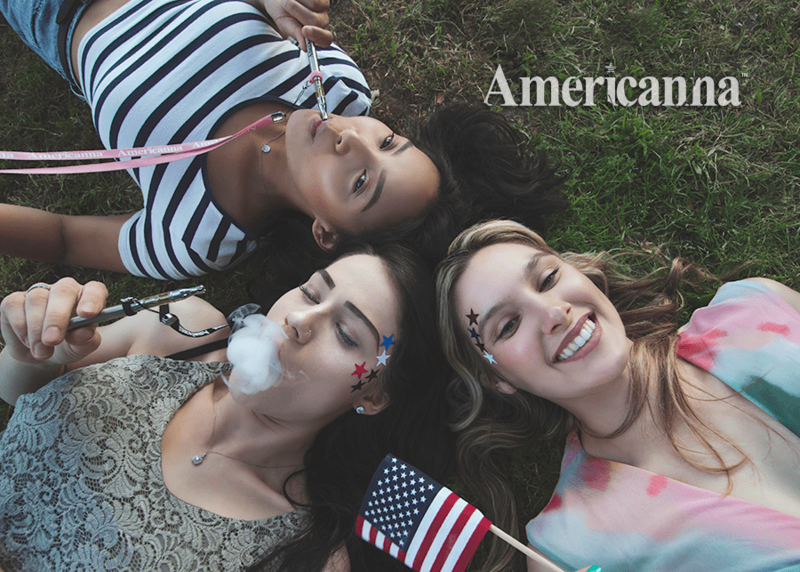 It really is that simple to enjoy the Americanna lifestyle. We know how important it is to conduct research before supporting a brand. 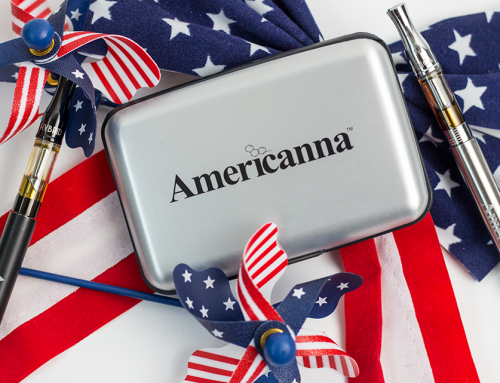 That’s why if you have any more questions about how to use vape pens from Americanna, feel free to check out some more frequently asked questions. Got a question that you didn’t get answered? Leave us a comment in the comments section below and we’ll be happy to answer it!